I’m sorry, but my most recent experience of Hardware Lane (I went last time I visited to a restaurant called Max) suggests to me that it is really just a tourist trap. It is so hectic! Waiters and owners are standing outside every restaurant along the lane, pressuring you to come and eat there, very unwilling to accept ‘no’ for an answer. Most of the food is Italian, and honestly, the menus in each restaurant are SO similar that it essentially comes down to who you can’t say ‘no’ to. 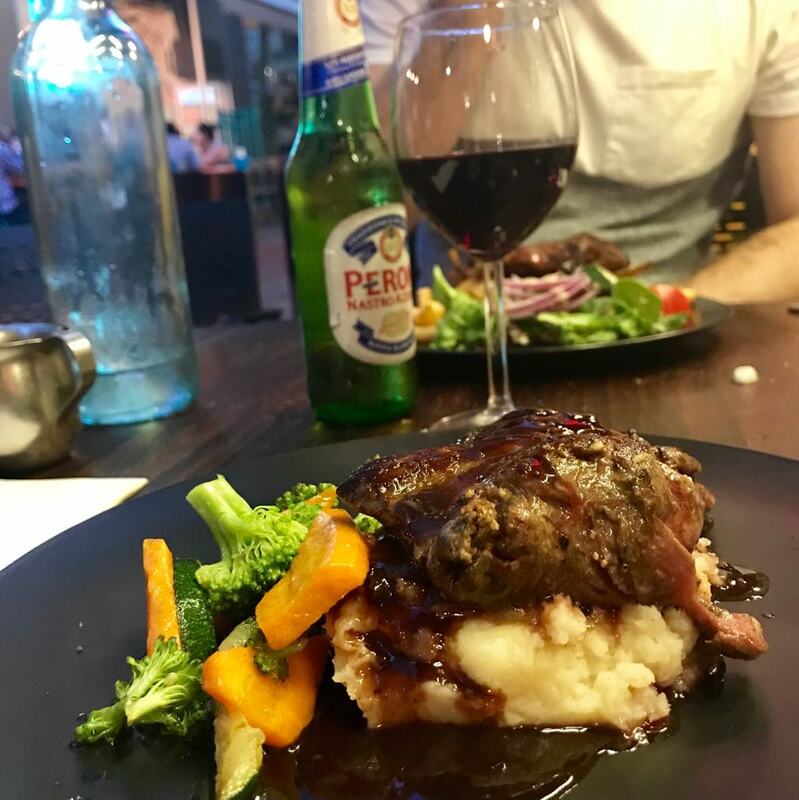 Luckily I have Italian, so when we went there I wasn’t particularly fussy about which place we visited – we just wanted a good plate of food at a reasonable price, so we open to hearing each restaurant’s offer to us. We ended up settling for Vons, on the basis that we got a free first round of drinks, a free entrée for the table, and dessert or extra entrees for $7 if we wanted them. To be honest, I’m sure this is the exact deal that they offer to everyone (and therefore not technically a ‘deal’) but what the heck, we’ didn’t mind. We sat outside so that we could enjoy the balmy Melbourne temperatures. Similar to my last experience at Hardware Lane, I really felt as though the restaurant just wanted to turn us over as fast as possible. As soon as we sat down we were asked what we wanted to drink, despite not even being given the drinks menu. We quickly ordered, as well as ordering our free entrée and settled in. They took both of our meals back and cooked them a little more. Meanwhile everyone else had basically finished their meals – my aunt loved her fish, and my brother and boyfriend both liked their parmigianas (notoriously large). I was underwhelmed by my kangaroo – both in terms of flavour and quantity (and the fact that it was essentially raw). We were still getting pretty rushed vibes from our waitress so we actually decided not to get dessert, especially because we thought that the overall quality of the meal versus the price paid meant that we felt like we had already spent enough. I think Hardware Lane is definitely worth an explore, but I would really take pause and maybe check out some online reviews before going there. It is so easy to be lured into a restaurant which you might not otherwise have chosen, and I’m sure some would certainly be better than others.